Admission Price: Free to attend, all are welcome. Series: A debate organized under the aegis of the Jean Monnet Chair in European Law. The City Law School is delighted to invite you to a debate organized under the aegis of the Jean Monnet Chair in European Law. SRA and BSB accredited (2 CPD points). 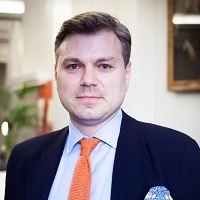 Damian Chalmers is Professor of European Union Law at the London School of Economics and Political Science. His visiting positions include being a Jean Monnet Fellow at the European University Institute (2003-2004) and Visiting Professorships at the College of Europe and the Instituto de Empresa. He is interested in the relationship between European Union law and its and domestic systems of government. He is currently working on a number of topics. The central one is if the European Union can never by democratic what processes could be installed to protect democracy within the United Kingdom if it wishes to remain within the European Union. The other project on which he is working looks at the patterns of litigation before EU courts to see who really uses EU law and whether that should shape how we look at it. His medium term project is a monograph on what vision of the human condition is taken by EU law. His assumption is that this vision of ourselves is both the central identifying element of EU law and one of its most challenging elements. Professor Koutrakos joined The City Law School in January 2013 as Professor of European Law. He is a graduate of the Universities of Athens and London, completed a stage at the European Commission in Brussels and holds a PhD from the University of Birmingham. Panos has taught at the Universities of Bristol (Professor of EU Law: 2006-2012), Durham (Professor of Law: 2004-2006; Lecturer in Law: 1999-2002) and Birmingham (Reader in EU law: 2002-2004). In September 2007, he was awarded a Jean Monnet Chair in EU Law by the European Commission. He has held visiting posts at the Universities of Melbourne (2009, 2013), Sydney (2008, 2010), New South Wales (2013), Iowa (2000, 2002), Michigan (2005), and Antwerp (since 2008). He is the joint editor of the European Law Review. In addition to EU external relations, Panos writes on the law of the single market, with emphasis on the free movement of goods and services. He has also contributed to training programmes for judges and civil servants from central and eastern Europe. 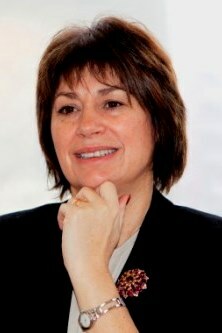 Jacqueline Minor is responsible for representing the European Commission in the United Kingdom. Speaking for the Commission as its voice in the UK. This includes providing background briefings for the media as well as on-the-record comment on issues relevant to the Commission; reporting back to the Commission in Brussels on political, economic and social developments in the UK; providing information about the European Union across the UK through recognised outlets such as public libraries, business advice centres and education services. 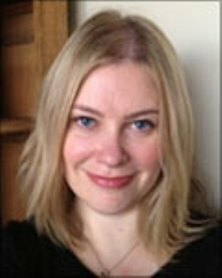 Niamh Nic Shuibhne is Professor of European Union Law at the School of Law, University of Edinburgh. She was Joint Editor of the European Law Review from 2009-2014, and remains a member of its Editorial Board. She is a Visiting Professor at the College of Europe (Bruges), where she teaches a course on EU citizenship law. Professor Nic Shuibhne's current research focuses on EU free movement case law. Her 2013 monograph - The Coherence of EU Free Movement Law: Constitutional Responsibility and the Court of Justice - examines how the Court of Justice develops and applies framework principles that underpin the definition of a restriction of the free movement rights conferred by the EU Treaty. She addressed some of these themes in her inaugural lecture, entitled "The Lawless Science of EU Law: Constitutional Responsibility and the Court of Justice", Other recent work examines the role played by evidence and proof when measuring the success (or otherwise) of the justification arguments that Member States submit in order to protect national public interest concerns. She has also published widely on the free movement of persons and the legal regulation of EU citizenship. With her colleague Jo Shaw, she acted as Joint General Rapporteur for the topic 'Union Citizenship: Development, Impact and Challenges' at the FIDE Congress held in May 2014. 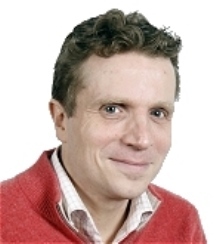 Professor Watson's work is mostly in the area of EU law and competition. 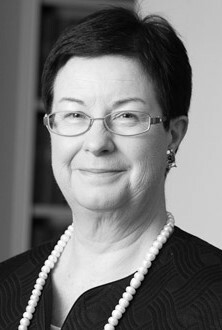 Her practice is of an advisory, regulatory litigious nature and has included judicial review, actions for damages before UK courts, the superior courts of Ireland, specialized tribunals, the European Court of Justice and General Court in cases concerning a wide range internal market issues, ranging from public procurement to goods and services, energy, agriculture competition and social and employment law. She has also given expert evidence in competition matters in arbitration proceedings. On the regulatory side she has advised on numerous EU regulatory regimes, from medicines and cosmetics to telecommunications. Her clients include large energy companies, EU Institutions (advising in the context of legislative and judicial proceedings), governments, telecommunications companies, large corporations, both private and state owned in wide range of business sectors. She advises on all aspects of EU, UK and Irish competition (cartels, joint ventures, mergers, vertical agreements) in proceedings before the Irish Competition Authority, the Office of Fair Trading and the EC Commission. The event will take the form of a round table discussion with questions from the Chair and the floor. It will be followed by a wine reception.